Misogyny and sexism are just normal parts of society today, sadly, but not everyone thinks of the two as something we should just accept. Many people around the world can see that treating women as anything other than equal is wrong and spend a lot of energy trying to change the perceptions of those who don’t feel the same. It’s not every day you hear a man call himself a feminist, when you do, you know he means business, AND they are the kind of guy we love to love. Ricky Gervais, Joseph Gordon Levitt, and Will Ferrell, are a few of the younger males, but don’t be quick to count out all old white men. 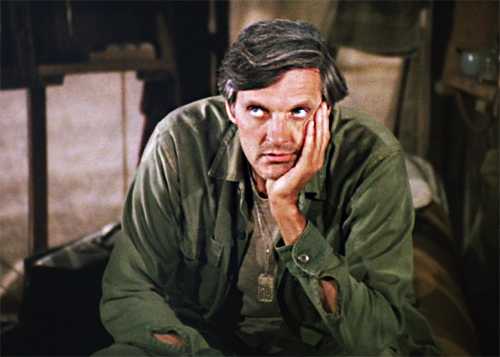 Actor and comedian Alan Alda, best known for his role as Hawkeye in the cult hit TV series M.A.S.H has long been part of the male feminist club and even today has no problems speaking out about his affinity for this important movement. After the recent Santa Barbara shooting where a young gunman killed 6 people but openly professed to hate women and targeted sorority girls for not wanting to sleep with him, Alan was asked to be a guest on Huffpost Live web stream where he gave his opinion on the greater epidemic which is being discussed about the shooting incident: that of gender violence and the sexism that is deeply ingrained into our culture, making young men think they are entitled to do whatever they want with a woman’s body. 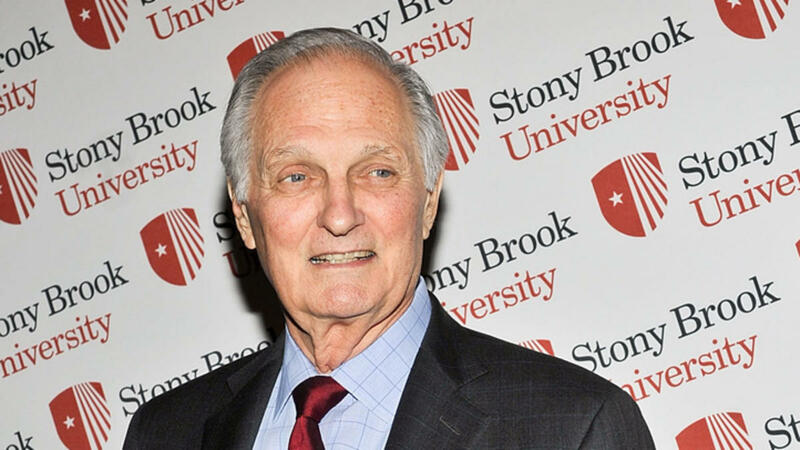 He talks about being named an honorary feminist icon in the 1970s. “I still call myself a feminist,” he said. Alan gives his opinion on why society today teaches young men that gender discrimination is something that is normal and un-punishable. “It may be a sign of how we’ve evolved…that males feel the need to dominate females. If that’s true, then we have a much more serious problem than one that can be solved by slogans alone,” he said. He talks about not accepting something that is produced by society, as the start of eradicating something harmful. Alan uses the metaphor of having a common cold or even cancer. “I think it’s [misogyny] like a disease that needs to be cured. And we could eradicate Polio, I don’t see why we can’t eradicate misogyny,” he finished with. If there is one thing to take away from this short video interview below, it’s that sexism and gender discrimination can and should be tackled. It may not be easy but it is a cause worth fighting for, because just like the early stages of a disease, if left untreated, it will fester and worsen, becoming something as extreme as sexual assault, violence against women, and hate crimes such as murder. 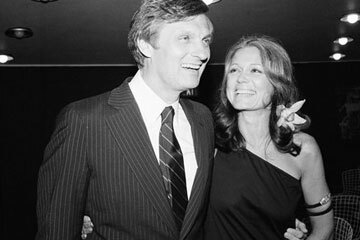 Alda’s other feminist works include co-chairing (with former First Lady Betty Ford) the ERA Countdown campaign. In 1976 The Boston Globe dubbed him “the quintessential Honorary Woman: A Feminist Icon” for his activism to support the Equal Rights Amendment.